If you’ve ever looked at the back of your so-called “natural” facial moisturizer or body cream and seen a list of complicated additives you couldn’t recognize or pronounce, then you know firsthand that mass-produced synthetic beauty products can be something of a mystery. 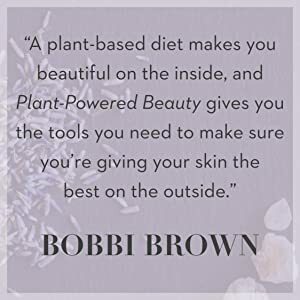 With Plant-Powered Beauty: The Essential Guide to Using Natural Ingredients for Health, Wellness, and Personal Skincare (with 50-plus Recipes), harness the power of plant-based energy to maintain your natural beauty and let your skin glow like never before. Natural beauty experts Amy Galper and Christina Daigneault show readers how to deconstruct beauty labels, parse ingredients lists, make informed choices about the products they use—and, most important, better understand how their skin works. Start reading Plant-Powered Beauty on your Kindle in under a minute. Amy Galper, M.A., Dipl. AT, is the Executive Director and Founder of New York Institute of Aromatherapy, and is a nationally celebrated advocate, entrepreneur, formulator, and consultant in organic beauty and wellness. 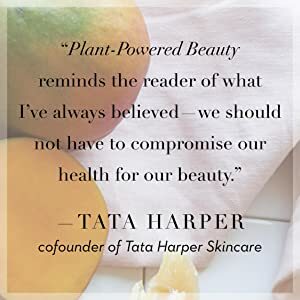 She is a pioneer in the field and created the award-winning, yoga-inspired line of body care products called Buddha Nose, one of the first organic brands to create national awareness of the need for toxin-free beauty and body care products. Amy also produced a series of interactive pop-up shops called The Yoga Beauty Bar to celebrate artisan organic beauty brands while educating women to make more conscious beauty choices. Amy has appeared as a featured speaker at the Indie Beauty Expo, Women in Flavor & Fragrance Conference, and EcoSessions. She has been a guest lecturer at New York University, NSU College of Pharmacy, and is a member of the Visiting Faculty at Arbor Vitae School of Traditional Herbalism in New York City, at The School of Aromatic Studies. Amy has also been featured in dozens of top media outlets including Cosmopolitan, Dr. OZ, Prevention, Well and Good, Mind Body Green, People, Allure, Refinery29, FOX news, and CUNY TV. Christina Daigneault is an attorney and the president of Orchard Strategies, an award-winning public relations and marketing company. She is also a certified aromatherapist and beauty product formulator. Through Orchard, Christina works with lifestyle businesses and corporate leaders worldwide. She has won numerous industry awards, and regularly speaks at forums and universities about women in business and leadership. She has been featured in media outlets including The New York Times, The New York Law Journal, CBS Radio, NY1 News, and NBC News. Christina discovered the benefits of natural beauty and plant-based medicine through her work representing top brands and experts, and soon started to apply natural practices to her own life. She earned a certification in aromatherapy from the New York Institute of Aromatherapy and also studied at the esteemed Maison Fragonard in Paris. This book has been so helpful in my natural skincare journey, It us so packed full of information it was thorough and if your like myself someone who is Offering skincare services you can never be to well versed in how natural products affect the skin, amazing book all around. This book is Amazing! Very helpful for not only creating items but why those ingredients are used and their properties aswell! 5.0 out of 5 starsExcellent textbook style educational/tutorial on making your own beauty products at home. 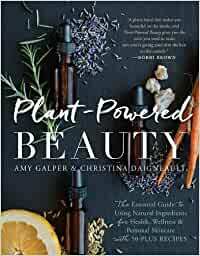 Plant-Powered Beauty is an excellent textbook style educational/tutorial on making your own beauty products at home. Unlike many DIY beauty books, this doesn't just give a bunch of recipes with a few tidbits about the ingredients. Instead it goes into very in-depth detail about each ingredient and how it effects our skin/hair. Once we are given a full understand of the ingredients we'll be using it goes on to share some absolutely delicious skin care recipes. 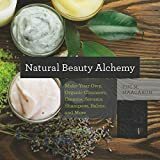 This is an excellent book to keep handy for anyone interested in at home beauty, whether it be their first time or they're looking to expand on prior knowledge. 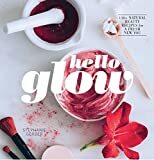 I have experimented with homemade health and beauty products in the past but have always lacked the time and confidence to make clean, DIY beauty a fully realized lifestyle, so for me, this book is everything! The first section is an organized breakdown (ingredients and effects) of typical store-bought products, all delivered in a way that is actually interesting to read and easy to understand…It offers a really great crash course & reference guide to what we put on our face and bodies. The second section is the reason I will keep this book forever and will probably gift it to everyone I know this coming holiday season. It is basically a recipe bible with easy-to-follow instructions of pretty much every skincare product you would ever want or need. There are some more advanced areas for those who want to got the extra step of making their own ingredients (I.E. dehydrating your plant powder instead of buying), which is insightful and something to aspire to…but for beginners or those with limited time, like me, the recipes and ingredients are still fully accessible. So far I've made lip balm, scalp serum and the shea butter face cream...all feel and work like magic. 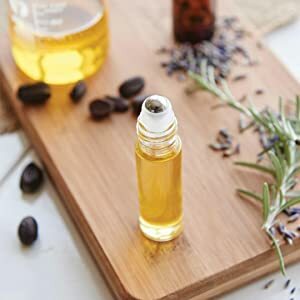 There is a bug spray recipe that is next on my queue & so many others I can't wait to try. Honestly couldn't recommend this book enough. I have hormonal acne from time to time and using harsh chemicals can be very damaging to my skin. I was looking for a book that would show me how to take care of my skin using only natural ingredients. This book is exactly what I was looking for. The recipes are so easy to follow and I love the beauty tips! Highly recommend! A beautiful book that is full of information, ideas, and inspiration. I highly recommend this to anyone interested in making their own natural products. It’s obvious the authors put a lot of research into this lovely book. Can’t wait to try some of the recipes. Thank you!